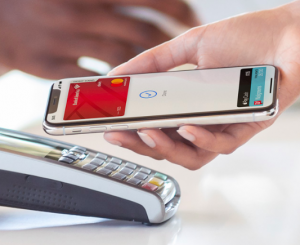 Study: Apple Pay Dominates Mobile Payments Among Debit Card Users in U.S., Though Volume Remains Low | NFC Times – Near Field Communication and all contactless technology. Apple Pay dominates market share among the OEM Pays in the U.S., but transaction volumes remain small. U.S.-based Auriemma Consulting Group Thursday said its recent study of U.S. debit card issuers showed that Apple Pay accounted for 77% of mobile-wallet transactions with debit cards, while Samsung Pay and Google Pay made up 17% and 6% of debit transactions, respectively. The firm added that while mobile payments is growing fast, mobile payments remains a “niche product,” making up just 0.6% of total U.S. debit card transactions in the second quarter, estimated the firm. Auriemma in part attributes the lead to Apple’s first-to-market status among the big three OEM Pays, having launched in 2014. And Apple’s iPhone is popular among younger consumers, who are also more likely to use debit cards rather than credit cards. Article has about 720 words.